India is home to eight families of bats, found in abundance. 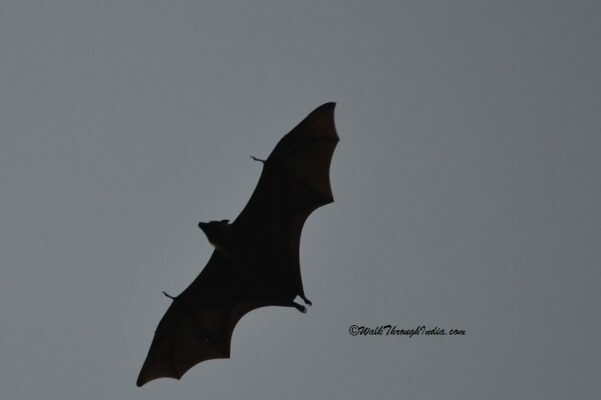 Bats can be easily see in temples, forts, caves and tunnels, Here’s is the list of the eight families found in India. Indian Flying Fox or greater Indian fruit bat is the largest species of bat in India and may be the world’s largest bat too. The Indian bat mostly live in forest and swamps, near water bodies and feeds mainly on fruits. There are two vampire bat found in India, greater false vampire bat and lesser false vampire bat. Both species are carnivorous, live in caves and tree hollows. Lesser mouse tailed bat is a small species of bat with long thin tail, found in the Indian subcontinent as well as found in North Africa and West Asia. Indian roundleaf bat from family Hipposideridae is also found in Bangladesh and Sri Lanka. They mostly live in dry forests and caves but threatened by habitat loss. Black bearded tomb bat and Egyptian tomb bat are sheath tailed species of bats, found in South and South East Asia. Great Indian horseshoe bat from the family Rhinolophidae is one of the large species horseshoe bat. The Woolly horseshoe bat also found in Bangladesh, Nepal and Sri Lanka. Indian Pipistrelle is an evening bats, from family Vespertilionidae and one of the most common bat species in India. Wroughton’s free tailed bat mostly found in Western Ghats area of India and also been discovered in northeast India. This is a critically endangered species of bat found in Karnataka and Meghalaya.